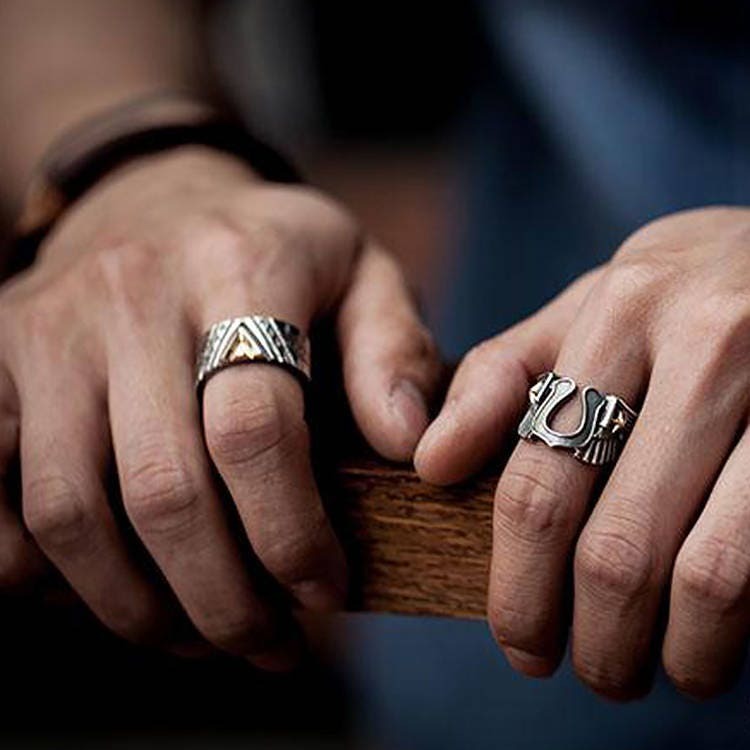 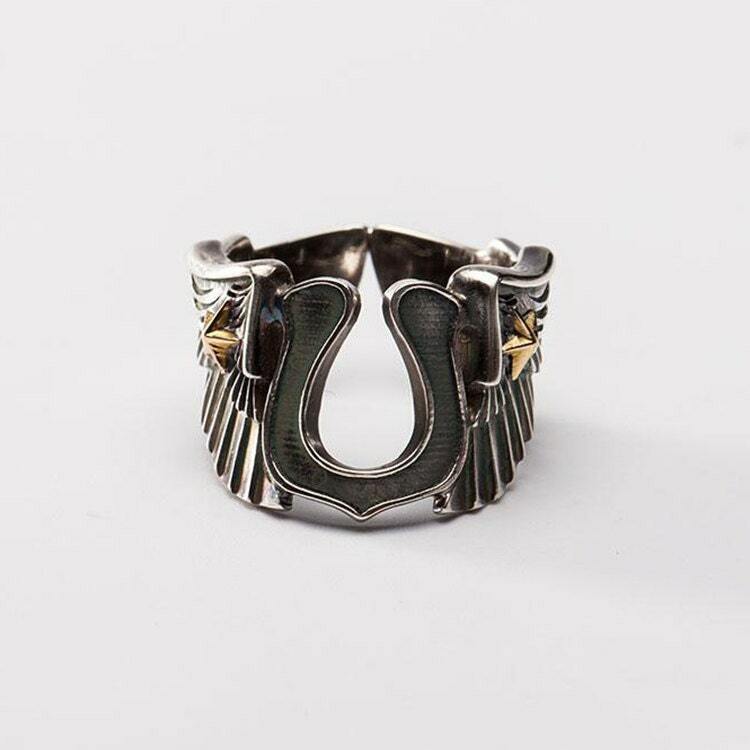 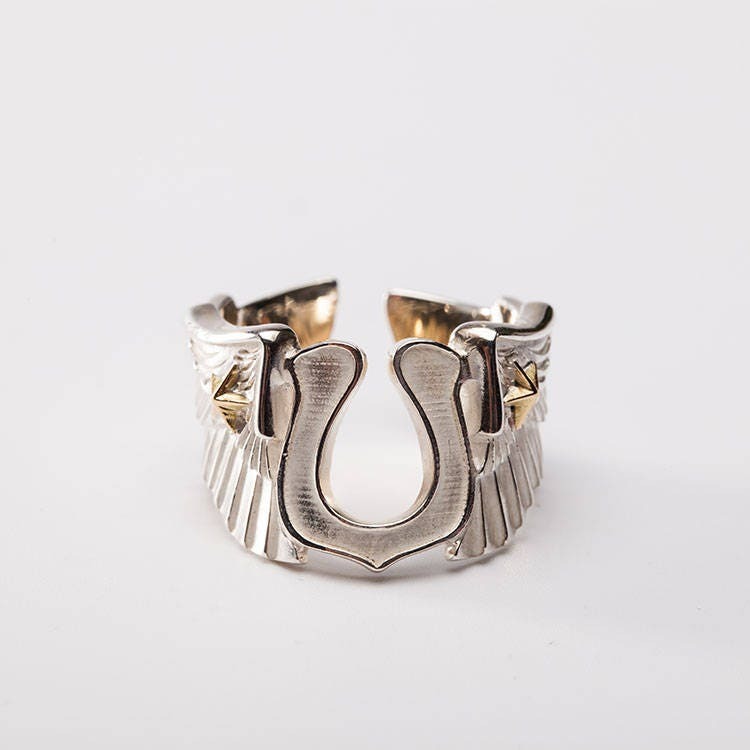 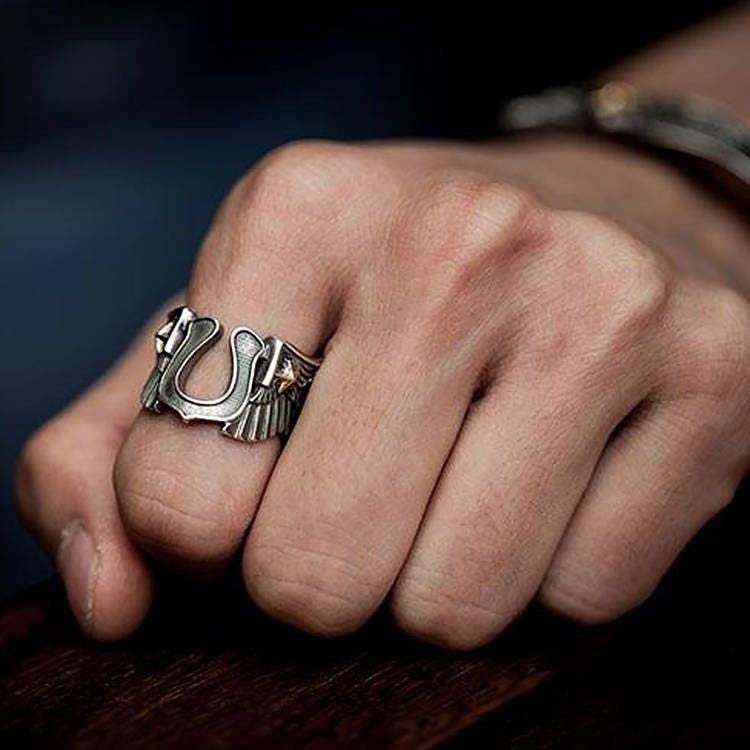 A tiny horseshoe charm is the centerpiece of the ring - with two angel wings growing right out of its sides. 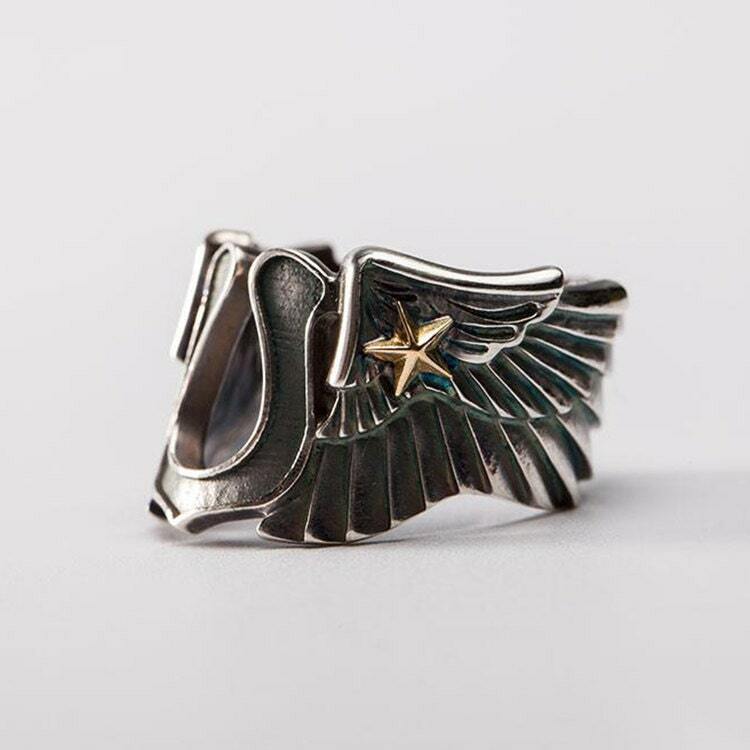 The beautifully carved angels' wings carry a tiny 18K gold star each - on both sides of the horseshoe. 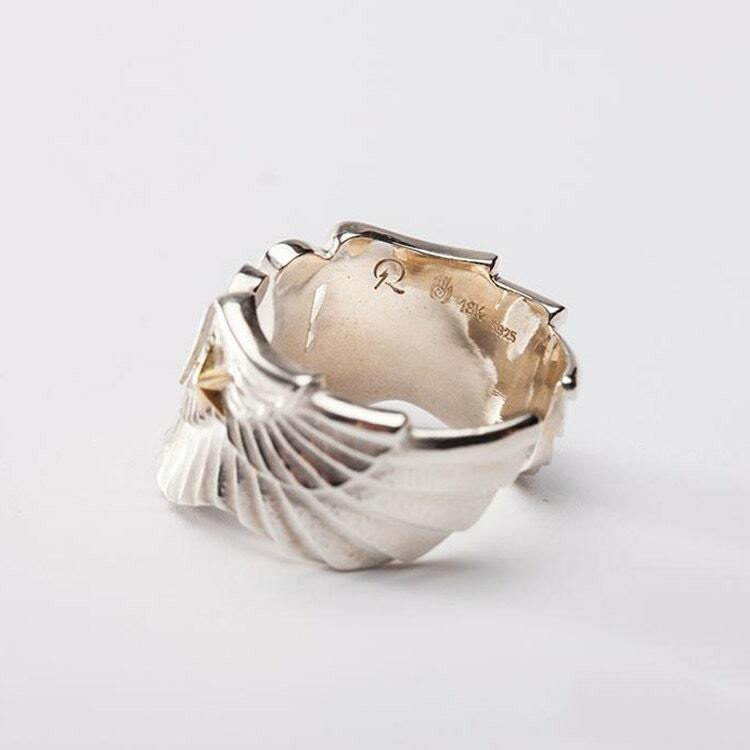 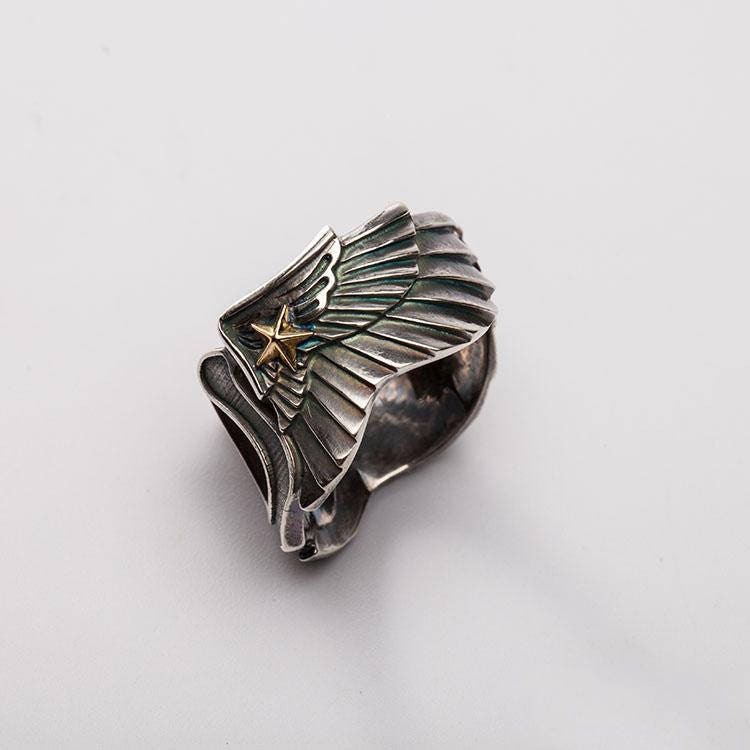 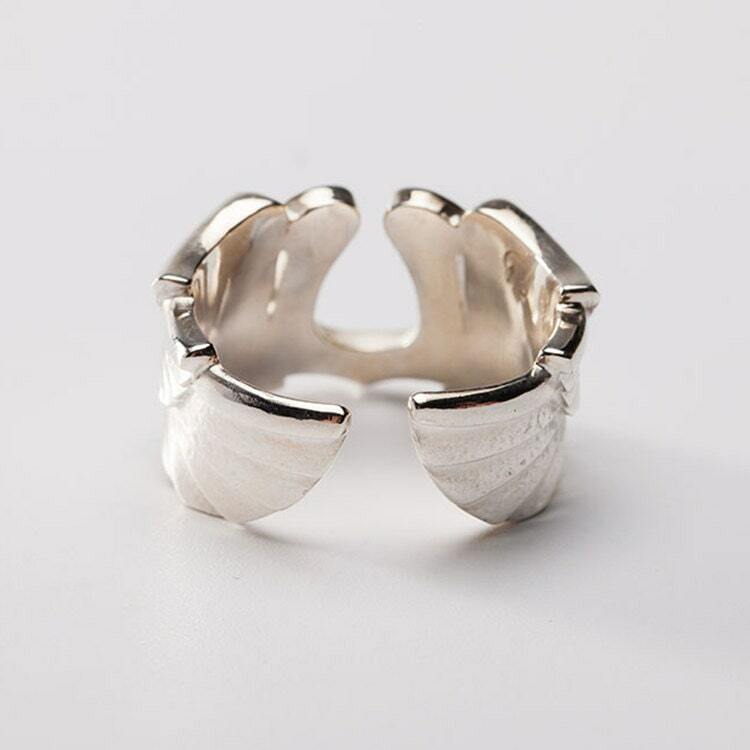 The angel wings further curve to complete the ring shape. 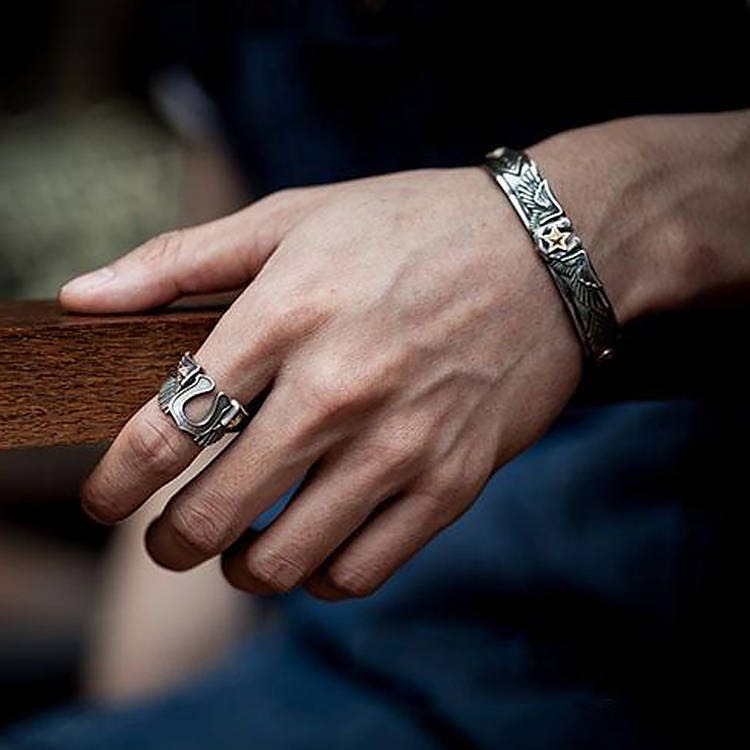 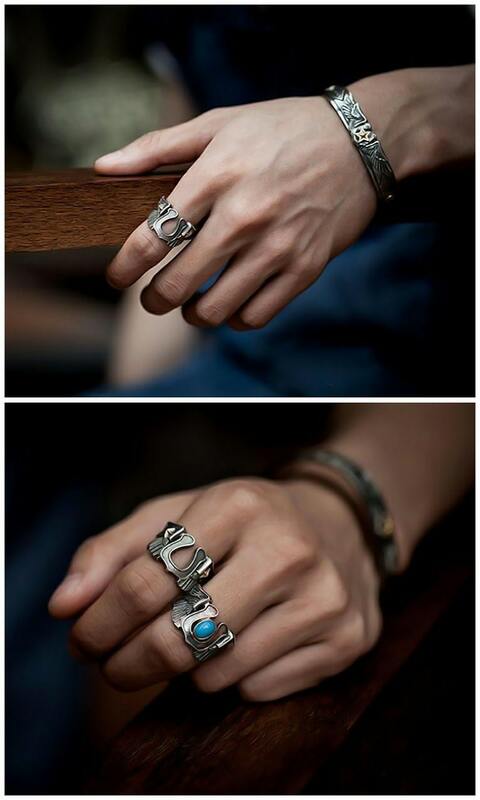 This makes it an adjustable ring - through the strong band will probably resist any attempt to alter the size by hands.